The Institute of Transportation Studies depends on the involvement of leaders and experts to advance research and public education and to solve complex transportation challenges. Advisory board members actively participate in the ongoing development and promotion of UCLA ITS, ensuring that our research is timely and relevant to the policymaking, rulemaking, and practitioner communities. Some specific examples include providing guidance on program activities and research, particularly in identifying programmatic needs and useful research materials and products, participation and cosponsorship of conferences, research, and other activities congruent with their organization’s mission and goals, and assistance with distribution of research findings to relevant audiences, including agency staff or other constituencies. The ITS advisory board meets at least once each year and membership is a three-year appointment. Jean Armbruster is the director of the PLACE Program (Policies from Livable, Active Communities and Environments) at the Los Angeles County Department of Public Health. The program’s mission is to foster policy change that supports the development of safe, healthy, active environments for all Los Angeles County residents. PLACE makes grants and provides technical assistance to cities and communities to promote the development of policies such as bicycle and pedestrian master plans, complete streets, and safe routes to schools plans. Jean received her bachelor’s degree from Colorado College and her master’s degree from California State University, Long Beach. 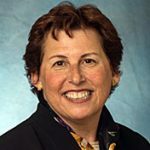 Laurie Berman was appointed director of the California Department of Transportation (Caltrans) in March 2018 by former Gov. Edmund G. Brown Jr. As director, she manages a $15 billion budget and nearly 20,000 employees who oversee 50,000 lane miles of highways, maintain 13,000 bridges, provide permitting of more than 400 public-use airports, and fund some of Amtrak’s busiest intercity rail services. Her leadership has been instrumental in implementing California’s landmark Senate Bill 1, the Road Repair and Accountability Act. Passed in 2017, the bill provides $54 billion over 10 years to fix California’s state highways, bridges and neighborhood streets, and combat congestion with modern traffic-monitoring technology. For the American Association of State Highway and Transportation Officials, she currently heads its national Transportation System Security and Resilience Committee. In addition, she serves on the Board of ITS America and the Mineta Transportation Institute, and is a past board member of United Way of San Diego County. The San Diego Chapter of the Women’s Transportation Seminar named her “Woman of the Year” in 2011 and 2018, and The Daily Transcript named her to their 2017 list of the 100 Most Influential Leaders in San Diego. 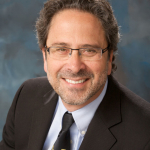 Before he was elected to the California State Assembly, Richard Bloom served on the Santa Monica City Council for 13 years as mayor and mayor pro tempore. Shortly after his election, Richard was appointed chair of the Assembly Budget Subcommittee on Resources and Transportation. As chair, Assemblymember Bloom has pushed for increasing renewable energy development to reduce reliance on fossil fuels and promote smart, sustainable planning that expands affordable housing and reduces traffic congestion and commute times. Richard received a bachelor’s degree in communication and public policy from UC Berkeley and a law degree from Loyola Marymount University. 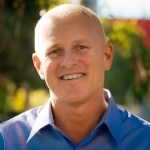 Michael Bonin represents the 11th District on the Los Angeles City Council, bringing a powerful voice for neighborhood empowerment and common sense solutions to city government. He is working to promote public transit and traffic relief, protect the environment, and use technology to make government more effective, efficient, and transparent. In addition to his transportation portfolio, Mike is also vice chair of the Council’s Innovation, Technology & General Services Committee, and serves as a member of the Budget & Finance, Public Safety, and Trade, Commerce & Tourism Committees. With extensive transportation policy experience in the public and private sectors, Emily has cemented herself as one of the nation’s foremost thought leaders and advocates for shared mobility. She currently works as a venture partner for Fontinalis, a mobility-focused venture firm with offices in Detroit, Boston and San Francisco. Previously, she was Lime’s senior director of policy and public affairs where she advanced shared mobility throughout the country. 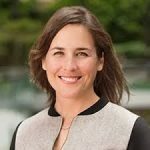 Emily has led autonomous and urban mobility policy for the World Economic Forum’s Center for the Fourth Industrial Revolution in San Francisco. She served as director of transportation policy for Lyft, and was a member of the original Lyft team. Emily started her career as a transportation policy aide for a U.S. congresswoman and later worked as a financial advisor for municipal infrastructure projects. She holds a bachelor’s degree in political science and gender studies from the University of California, San Diego and master’s degree in public administration from the University of Pennsylvania. James Corless is chief executive officer of the Sacramento Area Council of Governments. James was the founding director of Transportation for America, where he built an impressive national network of civic, elected, and business leaders who understand that strategic investments in infrastructure are crucial for attracting economic development. During his tenure, James implemented a series of Transportation Leadership Academies for local leaders across the nation, helped launch the national Smart Cities Collaborative for municipalities looking to use technology to improve mobility options, and has worked with dozens of regional planning agencies across the United States to implement data-driven decision making. As an advocate for sustainable urban planning, Amanda Eaken focuses on slashing transportation-related pollution. She played a key role in the formulation and implementation of California’s 2008 Sustainable Communities Act, which gives regions funding and incentives to develop emission-reducing strategies. Before joining NRDC, Amanda managed affordable-housing construction for a nonprofit developer in San Francisco. She holds a bachelor’s in environmental and evolutionary biology from Dartmouth College and a master’s in transportation and land-use planning from the University of California, Berkeley. She is based in San Francisco. Steve Heminger is the former executive director of the Metropolitan Transportation Commission (MTC). He was appointed by U.S. Rep. Nancy Pelosi to serve on the National Surface Transportation Policy and Revenue Study Commission. As chairman of the Toll Bridge Program Oversight Committee, Steve oversaw construction of the new East Span of the San Francisco-Oakland Bay Bridge, the largest recent public works project in the country. 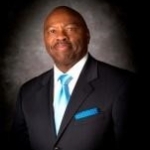 He is also vice president of the board of trustees for the Mineta Transportation Institute and president of the board of directors for the Association of Metropolitan Planning Organizations. Steve received his master’s degree from the University of Chicago and bachelor’s degree from Georgetown University. 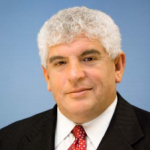 Hasan Ikhrata is the executive director of the San Diego Association of Governments. Prior to joining SANDAG, Hasan served in a similar capacity for the Southern California Association of Governments, the largest metropolitan planning organization in the United States. Hasan has more than 30 years of public and private sector transportation planning experience in the region. He has also worked for LA Metro and the South Coast Air Quality Management District. He holds master’s degrees in civil engineering from UCLA. 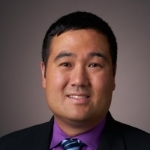 Eugene J. Kim, Ph.D. is the director of operations for AECOM’s West Region Transportation Division, where he oversees the performance of a portfolio consisting of over 800 active transportation infrastructure projects. Gene has over 20 years of project experience leading multimodal transportation corridor planning and design assignment for clients throughout Southern California and nationally. 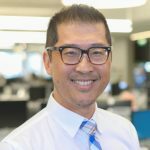 Prior to joining AECOM in 2017, he served as deputy executive officer in Metro’s Transit Corridors Group, where he helped guide several rail extensions now funded under Measure M and part of Metro’s Vision 2028 Plan. He also oversaw the relaunch of the Bus Rapid Transit program, which identified several BRT corridor projects now in advanced design and environmental study. Gene holds a bachelor’s degree in economics from UC Berkeley and a doctorate in urban planning from UCLA. Trent Lethco is a principal and leader of ARUP’s Integrated Planning Group in New York. He has more than 15 years of experience working in New York, Boston, Washington, D.C., Los Angeles, Chicago, and the San Francisco Bay Area. He has led transportation planning projects both large and small, most of which emphasize multimodal transportation solutions and sustainable street designs. Trent’s areas of specialization are transit-oriented developmen, multimodal corridor studies, downtown master plans, transportation policy, and funding issues. He also has extensive experience directing public involvement for projects involving multiple stakeholders. 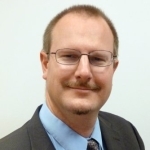 Kurt oversees short and long-range service planning, system and environmental planning, ridership analysis and reporting, emergency evacuation planning and coordination, and fixed route scheduling for the Metropolitan Transit Authority of Harris County in Houston, Texas. Kurt holds a bachelor’s degree in urban studies and planning from UC San Diego and a master’s degree in urban planning from UCLA. Therese McMillan is executive director of the Metropolitan Transportation Commission, assuming the agency’s top staff position March 1, 2019. She also serves as the top executive for the Association of Bay Area Governments. McMillan previously worked for 25 years at MTC, and for more than eight years as MTC’s deputy executive director for policy before her 2009 appointment by then-President Barack Obama to serve as deputy administrator of the Federal Transit Administration in the U.S. Department of Transportation. McMillan subsequently served as Acting FTA administrator from March 2014 to March 2016 before taking the position as Los Angeles County Metropolitan Transportation Authority’s chief planning officer in April 2016. 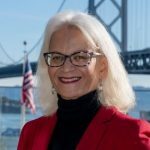 During the final five years of her original MTC tenure, McMillan also was an instructor of transportation funding and finance in the Transportation Management Graduate program at San Jose State University’s Mineta Transportation Institute. 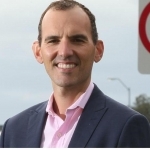 Tim Papandreou is the founder of Emerging Transport Advisors, providing strategic guidance to clients to prepare for the active, shared, electric and automated disruptions to the transport system and broader society. He also co-founded City Innovate, a smart city platform matching governments and start-ups to accelerate innovation, and served as former head of transportation partnerships for Waymo, Google’s self-driving car project, and chief innovation officer for the San Francisco Municipal Transportation Agency, where he supported the city’s economic competitiveness through emerging transportation policy and innovative technology partnerships to enhance the customer experience and optimize use of the public rights-of-way. Robert Puentes is the president and CEO of the Eno Center for Transportation, a nonprofit thinktank with the mission of improving transportation policy and leadership. Prior to joining Eno, he was a senior fellow at the Brookings Institution’s Metropolitan Policy Program, where he also directed the program’s Metropolitan Infrastructure Initiative. He is currently a non-resident senior fellow with Brookings. Prior to joining Brookings, Robert was the director of infrastructure programs at the Intelligent Transportation Society of America. Robert has worked extensively on a variety of transportation issues, infrastructure funding and finance, and city and urban planning. He holds a master’s degree from the University of Virginia, where he served on the Alumni Advisory Board, and is an affiliated professor with Georgetown University’s Public Policy Institute. He currently serves on the committee for New York State’s 2100 Infrastructure Commission, the District of Columbia’s Streetcar Financing and Governance Task Force, the Northern Virginia Transportation Authority’s Technical Advisory Committee, and the Falls Church, Virginia Planning Commission. 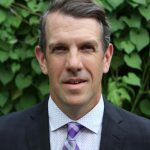 David Raney has extensive experience in corporate sustainability and environmental management, product planning, transportation emissions modeling, and products liability management. A native of Oklahoma, Raney earned a bachelor’s degree in mechanical engineering at the University of Oklahoma. His professional career includes diesel engine development work at John Deere’s Product Engineering Center, managing environmental and safety technical affairs at Saab-Scania AB and General Motors, and directing Honda’s North American environmental and energy policy and regulatory product compliance strategy for 18 years. 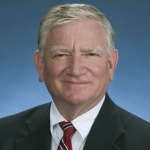 In semi-retirement, David provided consulting services to BP, RAND, and IHS-CER on transportation related environmental and energy policy, which led to his latest position at Toyota as corporate manager in the Regulatory Affairs and Powertrain Planning division. David was a federal appointee to the Clean Air Act Advisory Committee and a member of EPA’s Mobile Source Technical Research Subcommittee. He completed UCLA’s Anderson School Executive MBA program in 2007. Seleta Reynolds is the general manager of the Los Angeles Department of Transportation (LADOT), appointed by Mayor Eric Garcetti. Ms. Reynolds is responsible for implementing Great Streets for Los Angeles, a plan to reduce traffic fatalities, double the number of people riding bikes, and expand access to integrated transportation choices for Angelenos and the region. 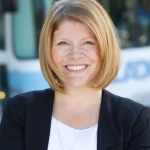 She has more than 17 years of transportation experience throughout the United States and has advised transportation technology companies like WalkScore, contributed to the state-of-the-practice as a NACTO and APBP Board member, mentored young professionals through WTS, and nurtured research on Transportation Research Board committees. 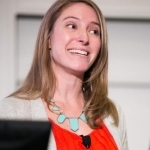 Lilly Shoup is senior director of transportation policy at Lyft. With a background in multimodal planning, performance management, and transit operations, she focuses on national transportation policy and planning to reconnect communities with the world’s best transportation. 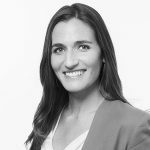 Prior to joining Lyft, Lilly was a principal at Nelson\Nygaard Consulting and served in the Office of Transportation Policy at the U.S. Department of Transportation in Washington, D.C., where she managed the Partnership for Sustainable Communities and related livability initiatives. She is author of national publications including “Dangerous by Design” and “The Fix We’re In For: National Bridge Assessment.” Lilly holds a Master in City and Regional Planning from the University of Maryland at College Park and a bachelor’s in economics and public policy from the University of North Carolina at Chapel Hill. 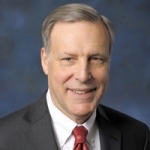 In February 2015, after 20 years of service, Robert Skinner retired as the executive director of the Transportation Research Board (TRB) of the National Academies. Robert now works as a part-time transportation consultant. 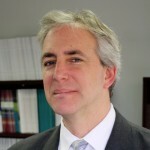 Prior to becoming the TRB executive director, Skinner directed TRB’s policy study activities. 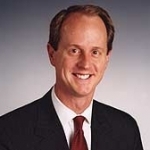 Before joining TRB, Robert was a vice president of Alan M. Voorhees and Associates, a transportation consulting firm. Robert also served on the Metrolink (Los Angeles) Commuter Rail Safety Review Panel and chaired the Special Advisory Panel for the Stem-to-Stern Safety Review of the Boston Central Artery/Tunnel Project. In addition, he served on a number of university and research advisory groups, including the advisory board for the Center for Urban Transportation Research at the University of South Florida and the advisory council for the Carnegie Mellon/University of Pennsylvania University Transportation Center. Robert is a registered professional engineer, and holds a bachelor’s degree in civil engineering from the University of Virginia and master’s degree in civil engineering from the Massachusetts Institute of Technology. 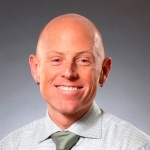 Jarrett Stoltzfus is the business engagement manager at Proterra, manufacturer of zero-emission heavy-duty vehicles. Prior to joining Proterra, Jarrett served as director of policy and strategic sourcing at Foothill Transit, where he led internal and external national policy efforts and served as the agency’s chief contracting officer for a system of more than 360 vehicles. Jarrett also worked in the Office of Research, Demonstration and Innovation at the Federal Transit Administration, where he led policy and strategic planning efforts for the federal transit research program. Jarrett holds a bachelor’s degree in industrial and labor relations and a master’s degree in public administration from Cornell University. Washington is the CEO of LA Metro, the nation’s largest modern public works program and the lead transportation planning and programming agency for Los Angeles County. In his position, Washington oversees an agency that transports 1.4 million boarding passengers on an average weekday, riding on a fleet of 2,000 clean-air buses and six rail lines. He was appointed by the mayor of Denver as head of the Host Transportation Committee for the 2008 Democratic National Convention. He has testified before U.S. Congressional Transportation Subcommittees and was awarded a White House Transportation Innovators Champion of Change award in 2012. Washington is a 24-year active duty veteran of the United States Army, where he held the rank of Command Sergeant Major, the highest non-commissioned order rank an enlisted person can achieve. He is a disabled veteran and retired from active duty being awarded the prestigious Defense Superior Service Medal for exceptional service to his country. He holds a bachelor’s degree in business administration from Columbia College and a master’s degree in management from Webster University. Dr. Allison Yoh serves as director of transportation planning at the Port of Long Beach and manages the development of transportation policies that balance Port interests and needs with those of the region, state, and nation. She is also responsible for working with a range of internal, external, public, and private stakeholders to facilitate the integration of transportation, environment, and energy policy related to goods movement. As part of her work in policy development and interagency coordination, she manages the Port’s active transportation program. 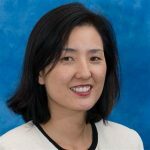 Prior to joining the Port in June 2013, Dr. Yoh served as associate director of UCLA ITS and the UCLA Lewis Center for Regional Policy Studies, and served two years as a mayoral appointee to the Los Angeles County Metropolitan Transportation Authority (LA Metro) Board of Directors. Dr. Yoh was also an adjunct researcher at the RAND Corporation. She received her bachelor’s degree from UC Berkeley and her master’s and doctoral degrees in urban planning from UCLA. 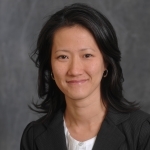 Kimberly Yu is the former chief operations officer at Metrolink (Southern California Regional Rail Authority). She has also worked at LA Metro in various departments including operations, communications, planning and the chief executive office. She’s also worked for Parsons Brinckerhoff (now WSP) providing planning and technical analysis for transit and highway studies. For more than two decades, she worked in government and transportation agencies to support significant growth, aligned projects to operational goals and objectives, and developed strong partnerships with internal and external stakeholders to achieve success. Kimberly was part of the 2012 American Public Transportation Association’s Leadership Program and the Eno Executive Program and was recently recognized as the Progressive Railroading Woman of the Year in Transportation for 2018. Kimberly received her master’s in urban planning from UCLA and a bachelor’s in American studies at UC Santa Cruz.